Gorgeous two-story Colonial home set in a lovely wooded setting in the sought after Chartwell community with 4 bedrooms and 2 ½ baths. 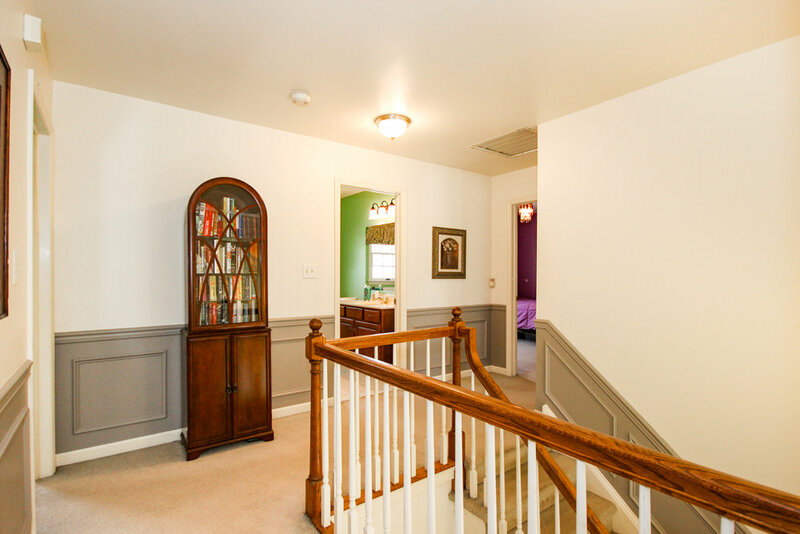 A beautifully maintained walkway leads you to the covered front porch and through the front door to the entrance foyer with a dramatic staircase and access to all points of the house. Formal living and dining rooms flank this front foyer, both with large front windows bringing in extra natural light, crown molding and custom shadow box detail in the living room. 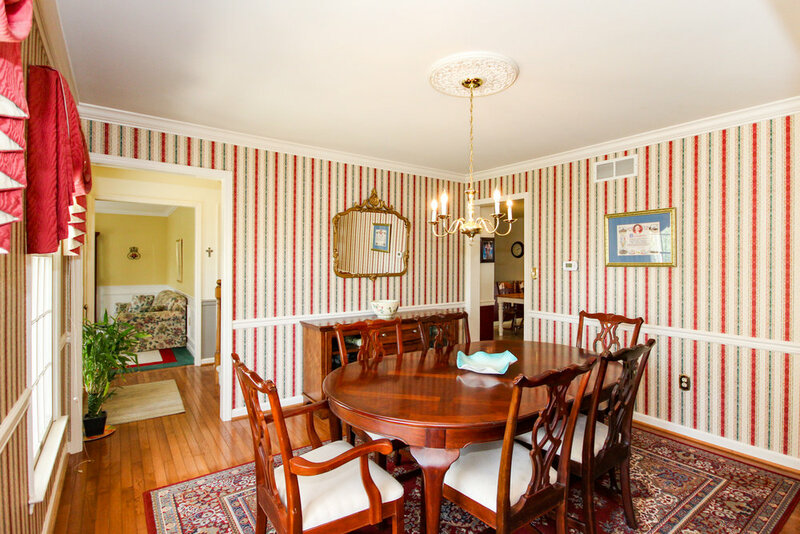 Hardwood floors greet you at the front door and run through the dining room and front hall through to the back of the house. 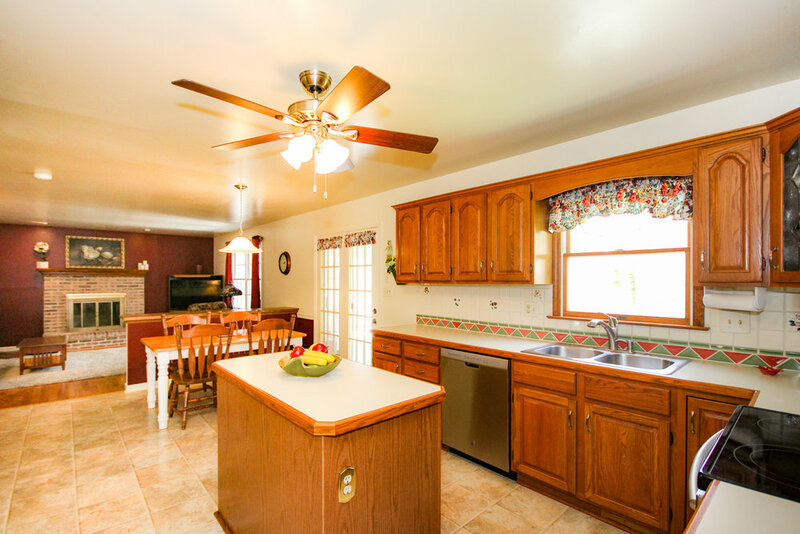 Here a spacious kitchen opens to the great room, creating the perfect space for entertaining or holiday gatherings. 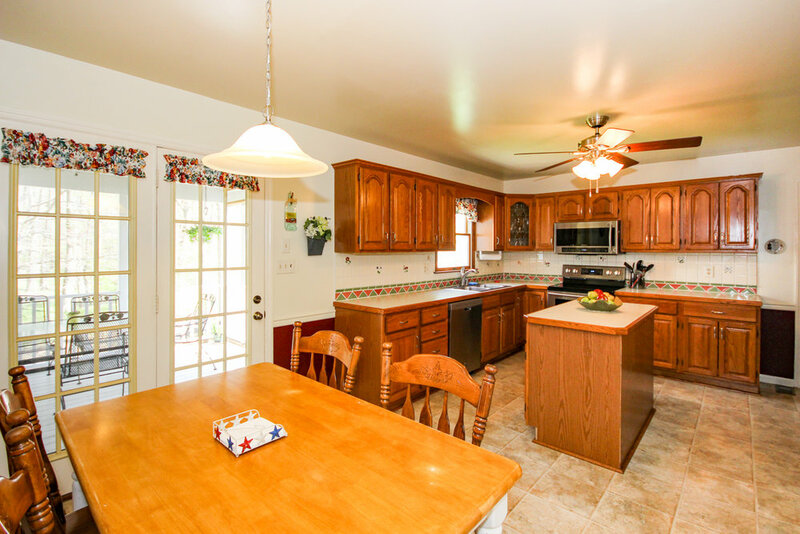 The eat in kitchen features stainless steel appliances, real wood cabinets and an island with extra storage. The great room has a classic brick fireplace with wood mantel, recessed lights and a built in eating bar connecting the great room together. French doors lead out to the amazing huge high-end composite deck overlooking the serene backyard. Half of the deck is screened in allowing you to enjoy at least 3 seasons. This space is absolutely stunning featuring the cathedral ceiling with wood beams, access to both the unscreened portion for cooking out and stairs to the yard. A powder room and laundry complete this floor. 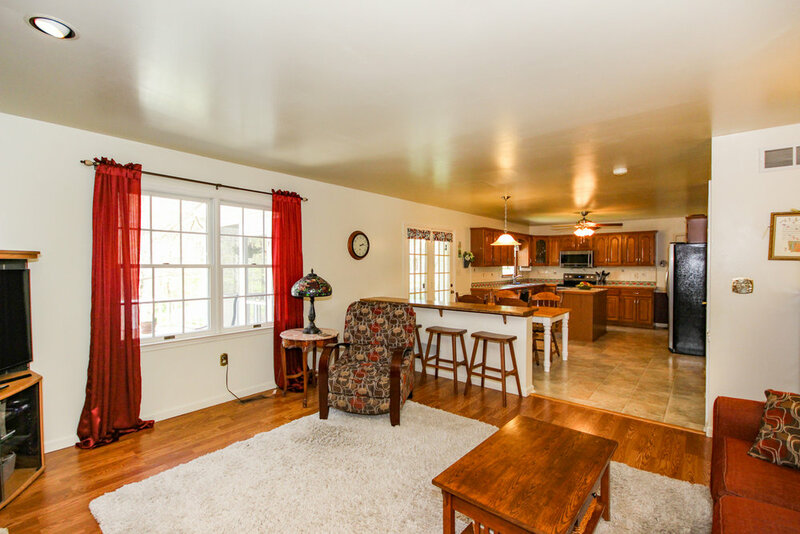 Upstairs you will find all 4 bedrooms and a full hall bath. The master suite features a large walk in closet, a master bathroom, a second closet with custom shelving and is drenched in natural light. The master bath has a soaking tub and separate shower stall. 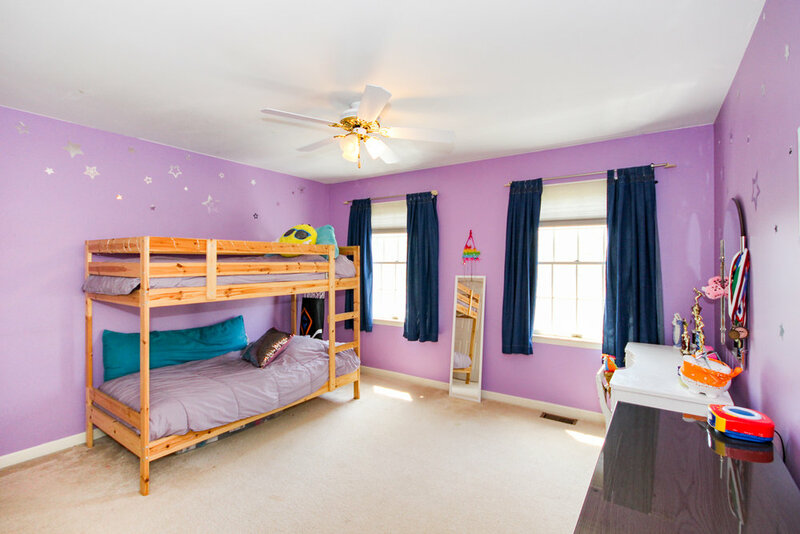 Additional bedrooms on this level all have wall-to-wall carpeting, lots of natural light and plenty of closet space. extra room with built ins and a closet would make a great office or guest space as well. This home has a 2 car garage and sits on just under ½ an acre with mature trees, plants and small creek in the backyard. Upgraded features include newer driveway, front entry door, dimensional shingle roof, high efficiency heater and hot water heater. 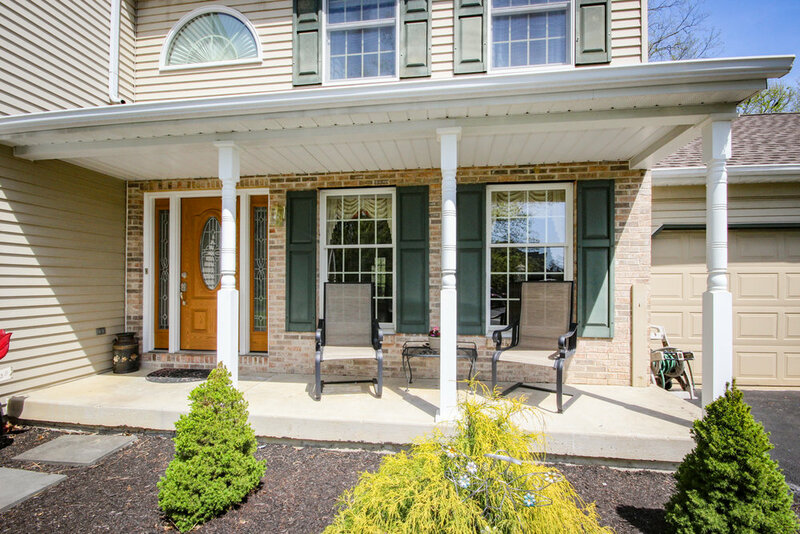 Located close to 202 and Delaware shops and restaurants, in Garnet Valley award winning school district. 20 minutes to Wilmington, and 25 minutes to PHL Int'l airport.